Hull’s premier office complex, Marina Court, has been chosen as the home for a new branch of Swedish-owned bank Handelsbanken. The bank has taken a 2,300 sq.ft. suite of offices confirming Marina Court’s position as the hub of professional and financial services in the city. Built in 1990 by English Estates, the fore-runner to Yorkshire Forward, the 39,500 sq.ft. complex occupies a prime two-acre site with parking for more than 130 cars and was purchased by Hull property company, the Wykeland Group, in 2011. The company implemented an extensive £600,000 refurbishment of the premises the following year and Marina Court is now home to the local operations of many of the region’s leading names from the professional services sector, including accountants Ernst & Young and law firm Andrew Jackson. Ian Gatenby, branch manager for Handelsbanken at Marina Court, said: “Marina Court is an ideal base for our new office as we are focusing on all areas to the east of the River Hull as well as the city centre. We are delighted with the mix of tenants on site and believe we are well located to grow the Bank’s business in the area”. 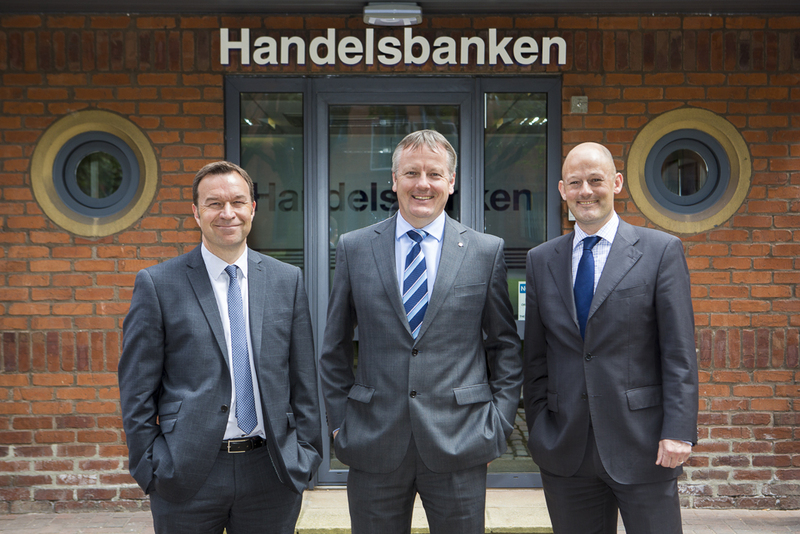 “Handelsbanken also has offices at the Hesslewood Business Park in Hessle and in Beverley and the addition of Marina Court will give the Bank full coverage across Hull and East Yorkshire”. Grant Edmondson, head of asset management at Wykeland, said: “The decision by Handelsbanken to move into Marina Court is excellent news for the development and for Hull generally. “This Hull central address, along with its high profile occupants, is now the established hub for the city’s professional services community and will continue to play a key role in the area’s economy for many years to come. “Quite simply, if Hull is to continue to attract the best names in commerce then it must also provide the best accommodation”.